Did you ever think jewels could be used as skin care?! 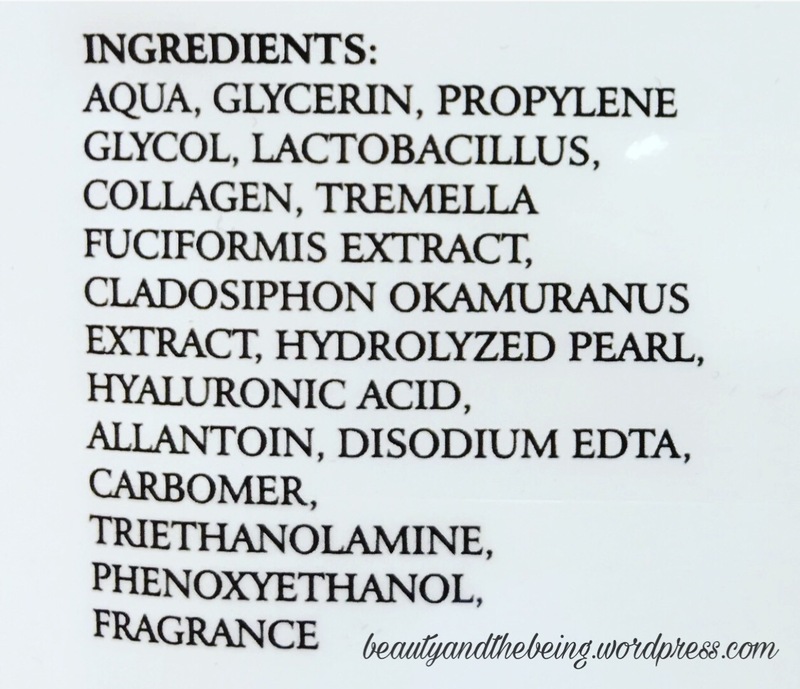 I never did….so when I came across the MOND’SUB Pearl Revitalizing & Brightening 3-in-1 Mask I was really interested to experiment and see how it would benefit the skin. On reading a bit more, I learned that pearls are rich in minerals, collagen and amino acids, hydrating and enriching your skin. So let’s see how this 3-in-1 3D Pearl Revitalizing & Brightening Mask by MOND’SUB fared! This 3-in-1 mask is a 2 step process – The first step is to apply the 3D Hanging Ears,Face and Neck Mask for 15-20 minutes, followed by the second step, which is to apply the Vitamin C Essence on the skin. 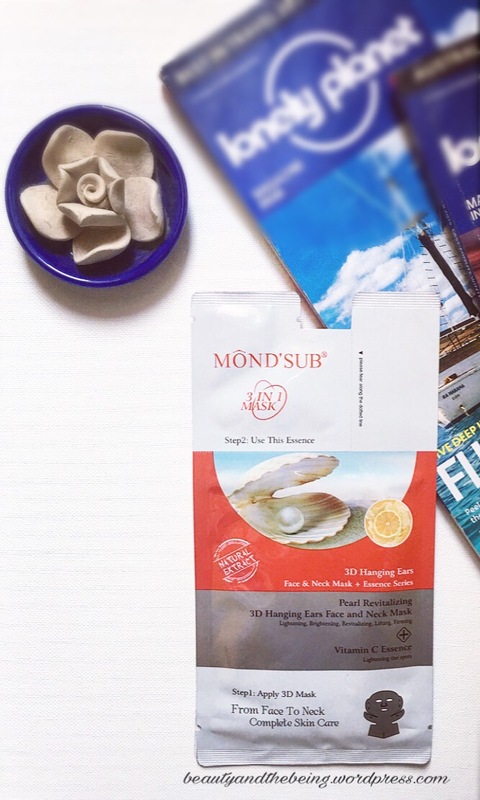 Combining the pearl extract from the deep sea, which contains rich minerals, vitamins & amino acid added with hyaluronic acid and seaweed extract, this mask can efficiently hydrate and moisturize the skin. 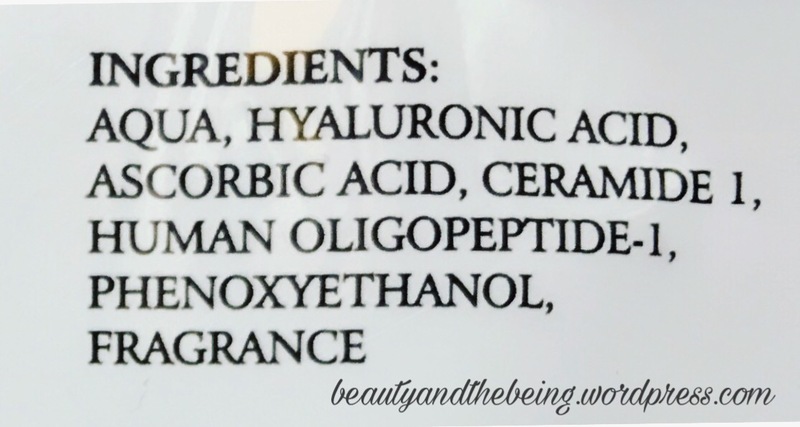 With other active ingredients, the mixed essence in the neck and face mask brings you an significant skincare effect, brightening and lightening your skin. Apply the mask on a cleansed face, hanging the mask onto the ears. Keep it for 15-20 minutes, and then remove the mask. Massage the excess essence with fingertips before rinsing with warm water. It is an effectively anti-aging, bleaching, anti-wrinkle and brightening essence that has an excellent effect. After using the mask, apply the essence onto the face. Massage gently with fingertips until completely absorbed. This time it was not me, but my sister who tried the mask on and it was not only easy to use, but so much fun for my her! Not to forget, she did see immediate results in her skin. This highly effective anti-ageing facial mask is an intensive treatment which helps by lifting and nourishing the skin. It can promote the natural collagen production, give you skin a glowing look. This product can gradually release the nutrients under the body temperature and permeate quickly into the skin, providing skin with the nutrients and moisture needed. 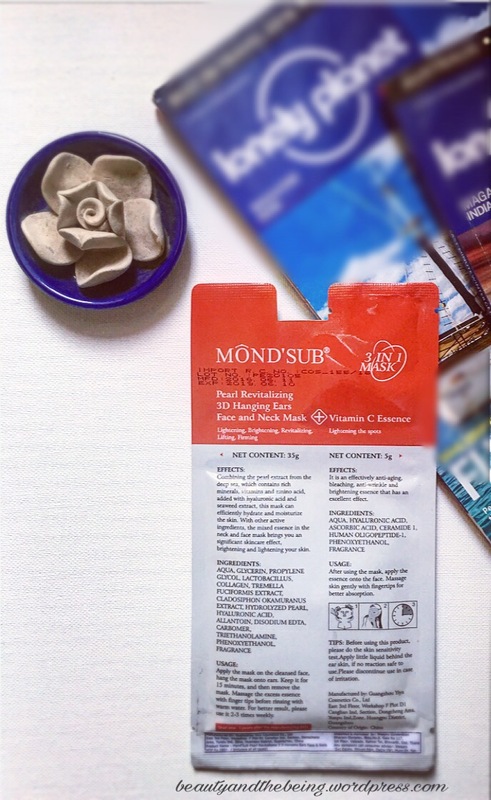 For those who try the MOND’SUB Pearl Revitalizing & Brightening 3-in-1 Mask for the first time, don’t be surprised with the shape of the mask. 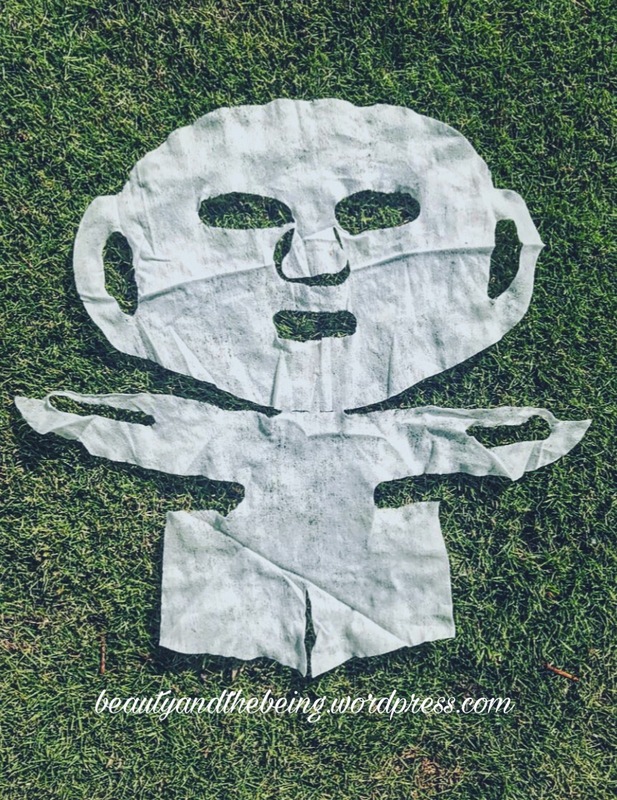 As you can see in the image above, it’s larger than a regular sheet mask, because it is a 3D Hanging Ears,Face and Neck Mask, which means that the mask will cover your entire face, ears as well as your neck. The slits/holes on the sides that you see on the sheet mask is where you tuck the mask behind your ears so that the sheet masks can adhere to your skin and stay put on your face while you move around. The texture and feel of the mask was very soft, like all Mond’sub masks…. 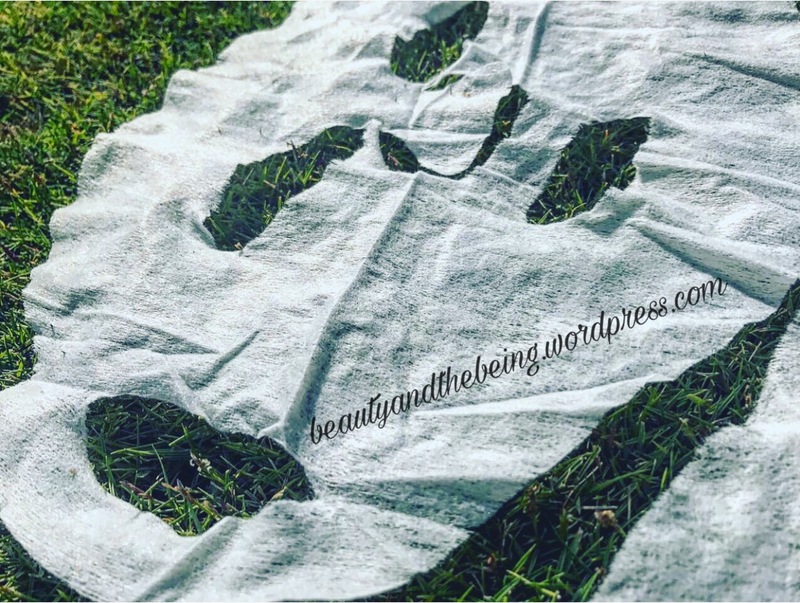 it had no fragrance (I always say thats a huge plus) and the sheet itself was thick and soaked in essence…so much essence that my sister almost bathed in it and still had some left in the packaging! As for the feel of the essence, this one is quite sticky, which again is perfect for those who have dry, dehydrated skin (much like my sister’s). Results, as I mentioned before, were immediate. She could feel that her skin was hydrated and plump, felt soft and supple and there were no signs of dry patches on her skin anymore. She said the essence was so effective that she went without using a moisturiser all day!!! Now THAT’S what I call a mask your money’s worth! 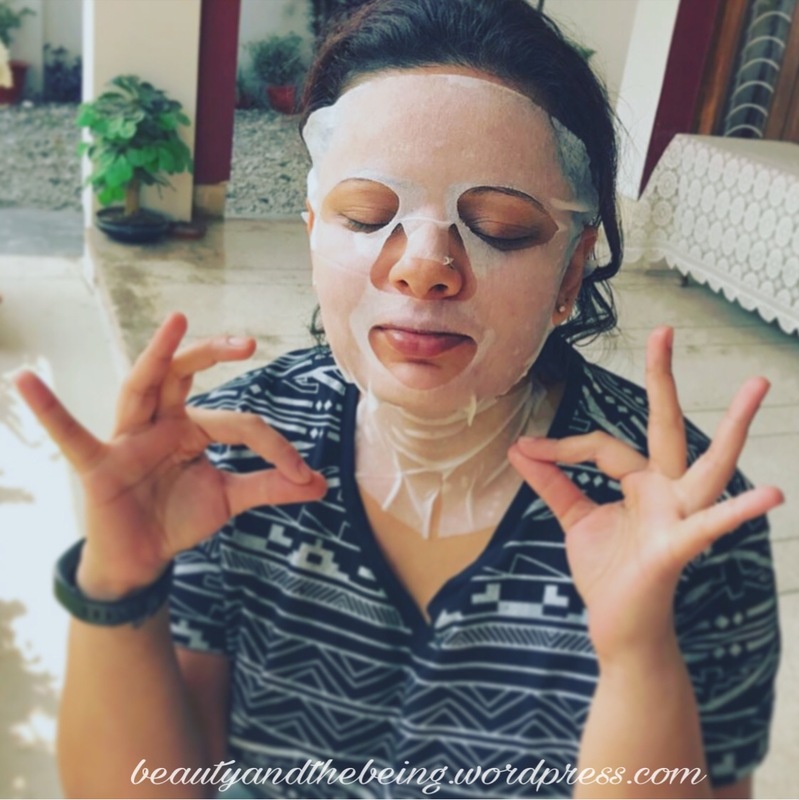 Before I sign off, here’s the mandatory picture wearing the sheet mask…. how cute is she?! See you guys soon with another sheet mask review and recommendation.